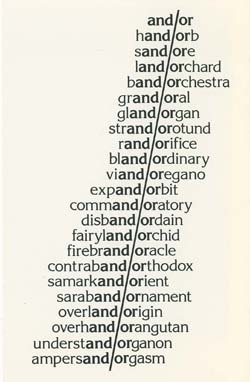 These are some of my earliest efforts at found poetry as well as a few other word works. Salmon streams, salmon dreams, chill and sharp, rocks rub round and clinking, scales scrape. Salmon streams, salmon dreams, thrill and stark, ice melt torrent to the sea as we push up and up: return. The magnet’s draw, the leaning urge, the thrust, the memory. No lure, no eagle’s call, no bait, no fly, no pause. Just this: wildness. The moon’s cool pull, the whipping sun, the night’s dark dream. Salmon dreams of salmon streams. Spent, jaw slung. Went, and done. I could read and look at these all day. Thanks, Cupcake. They’re really fun to make, too! Thank you so much from the garden of fading hydrangeas! I’m absolutely loving your blog! The combinations of the the words and the aesthetically pleasing way you lay them out into beautiful poems is so unique and lovely! Looking forward to reading more! Thank you SO much, Christina! Appreciate your visit and your comment! Hi there, I love the way you present your poems!!! I have written a poem for my girlfriend and would like to post it to my background picture on Valentine’s day. Can you teach me how to do this? ?….or help me out?? You don’t give a lot of info, but there are probably various ways to combine words and image. You could open your image in something like photoshop, then put the words onto the image, or you might be able to do the same thing in Word, PowerPoint, etc., by importing an image into a document then adding a text box for your text. OR you could use a scanner (you could print out your background image, then paste the words of your poem onto it and scan it) or your phone…. Hope that helps! And thanks for visiting!